For conquest of Mars! TME is the sponsor of Scarab - the Mars robot. This silver-grey vehicle weights 60 kg and is equipped with four-wheel chassis of intricate, original suspension system and can reach maximal speed of 25 km p/h. 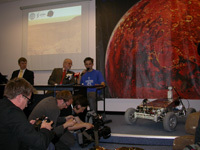 This is Scarab – the Mars robot constructed by students of the Warsaw Technical University and members of the Mars Society Polska. 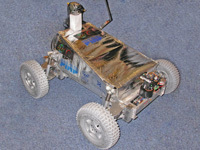 The robot and group of its designers, as the only Europe’s representatives, have been invited to the international Mars rover contest University Rover Challenge 2009, which will be held on a desert in Utah (USA). 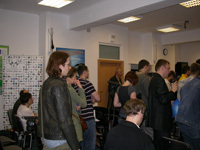 Nine teams are getting ready to this competition (six US and two Canadian teams will square up to the Polish team). constructional - testing manipulative skills. If the Polish Scarab manages to beat its competitors, it will have a chance to fly to the Red Planet. TME wishes cosmic future to the Polish team and Scarab!